Project: Construction of an ECDC (Early Childhood Development Centre), consisting of a classroom block of 3 classrooms, an office and teachers room. Attached to this classroom block, a kitchen will be built to prepare the meals for the children and a latrine block of 6 stances. Goal is to improve access to pre-primary school for children in the age of 3-6 years old. 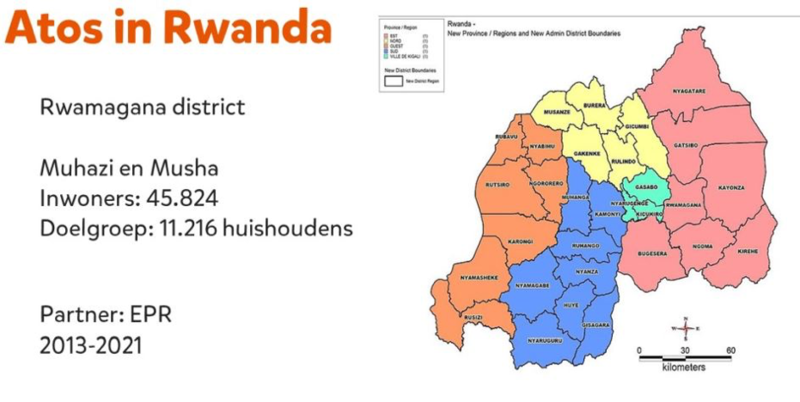 This ECD centre in Gahengiri (Rwamagana district) in Rwanda will be built in September – October 2019, according to the program plans of our partner organization EPR in Rwanda. Atos will build this center with support (both financially as well as fysically (manual labour) of Atos employees in collaboration with a local contracter. Based on the context analysis of EPR, there is a need to improve access and quality of education in this area. 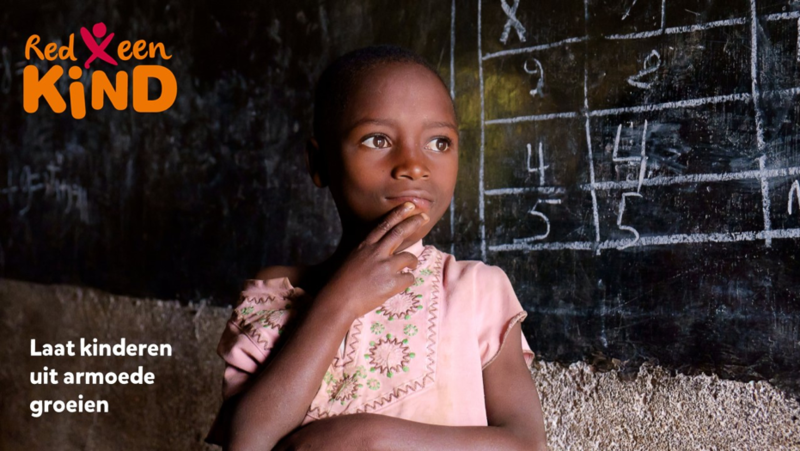 In their assessment the need for creating better opportunities for children to go to school and to finish school it is important to have these centers. There are no ECDC’s yet in this area. This is a relatively new concept, since before there were only nursery classes (1), in most cases attached to the primary school. 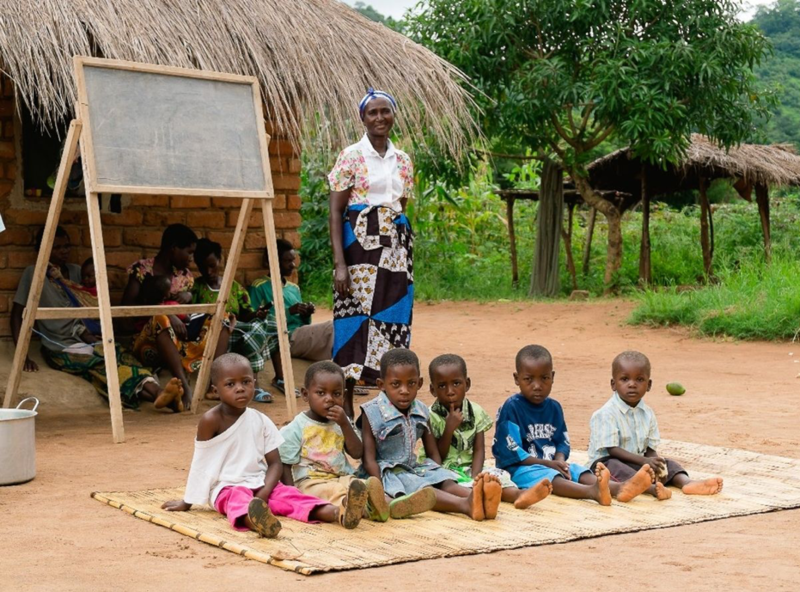 In building these ECDC’s, the government of Rwanda wants to improve access to pre-primary education and improve the quality of education since the children are better prepared for primary school once they have completed a 3-year cycle at the ECDC. The nearest primary school and nursery class is at 3-9km distance for the children in this area, which is quite far for children in this age. The project will be planned for 2 weeks: third and fourth week of September. Atos Foundation is collaborating with the Dutch Red een Kind Foundation (www.redeenkind.nl). The information meeting is planned on April 10th in Amstelveen from 6:30-9 PM. If you want to join this project, attend the information session or have questions, please send a mail to AF-Bouwreizen@atos.net.